If you’re looking for a new luxury and performance crossover, look no further than the 2019 QX50 available now at Bob Moore INFINITI. With more space, more power, and more luxury features than the BMW X3 and the Lexus NX, it has everything you need and more. Test drive your new 2019 INFINITI QX50 at Bob Moore INFINITI and see why more luxury drivers are choosing it over the competition. Still thinking about those other competitors? We didn’t think so. Stop by Bob Moore INFINITI today to test drive your new 2019 INFINITI QX50. 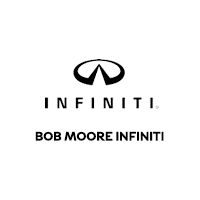 When you shop Bob Moore INFINITI, you know you’re getting over half a centuries worth of expertise in the automotive industry. Representing the gold standard of dealerships, our expert staff, attractive showrooms, and state-of-the-art service centers provide a one-of-a-kind customer experience that encompasses great customer service, honesty and respect. Once here you can choose from our extensive inventory of new 2019 INFINITI models, including the QX50, at our lowest prices every day.